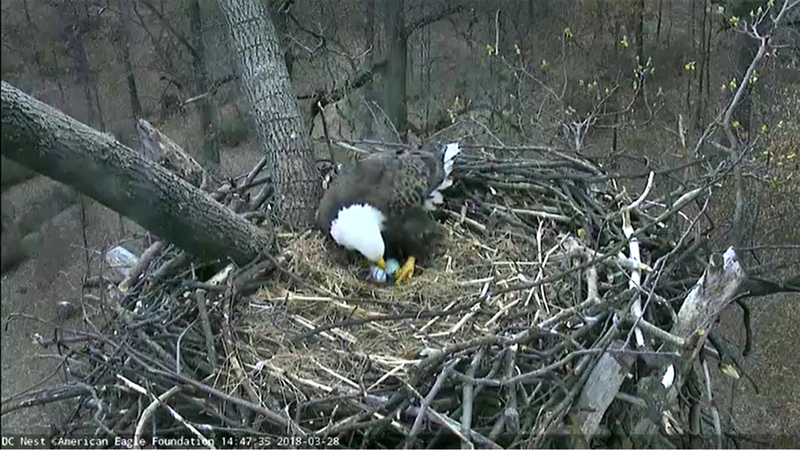 Viewers can watch all the intimate activities inside the DC Eagle Cam nest LIVE at dceaglecam.org. For all the viewers who watched the cams last year, what happens after the egg-laying is no surprise. 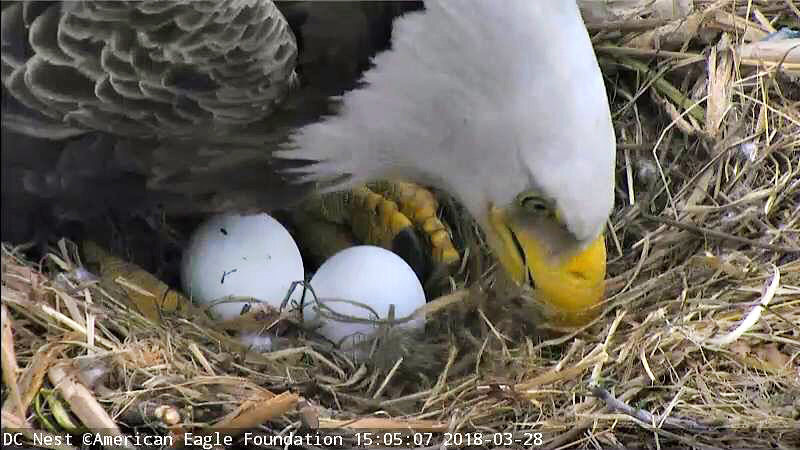 From this point on, the eagle pair will delicately incubate and relentlessly protect their egg(s) from rain, snow, hail, thunderstorms, and predators (like raccoons). They will also take turns with the incubation duties throughout the day to let each other take breaks and hunt/fish for food. “It’s always endearing and exciting to watch the behaviors of an eagle pair,” says Cecere “Sometimes they almost appear to banter about who gets to watch over the eggs or chicks next. Of course, we have no clue what they’re saying to each other, but we can certainly have fun imagining,” said Cecere. 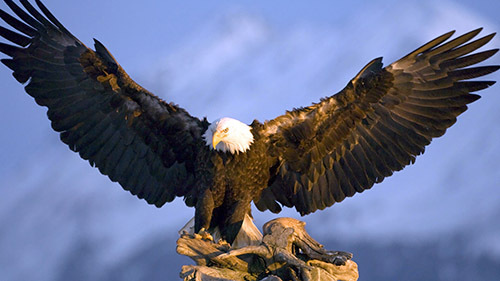 In 2015, the American Eagle Foundation (AEF) staff traveled to D.C. to install state-of-the-art cameras, infrared lighting, and other related equipment in-and-around the nest tree with the help of experienced technicians and tree climbers, as well as AEF staff and volunteers. The USDA’s U.S. National Arboretum ran a half-mile of fiber optic cable to the cameras’ ground control station, which connects the cameras to the Internet. The entire system is powered by large mobile solar panels (containing several deep cycle batteries), which was designed and built by students and staff from Alfred State College, SUNY College of Technology and was partially funded by the Department of Energy and Environment. USNA has implemented a backup generator that will kick-on if prolonged inclement weather causes the solar array to provide insufficient power to the system. In 2016, APEX Electric Inc. (Kenmore, Washington) traveled to D.C. to assist the AEF in successfully installing audio equipment in and around the tree. The AEF uses Piksel to stream the video images to viewers around the world, and AEF volunteers are trained and coordinated to pan, tilt and zoom the two video cams, as well as educate the public via LIVE chats while viewers (including adults of all ages and school children) watch and listen to the eagles via the video cams and microphones over the Internet.